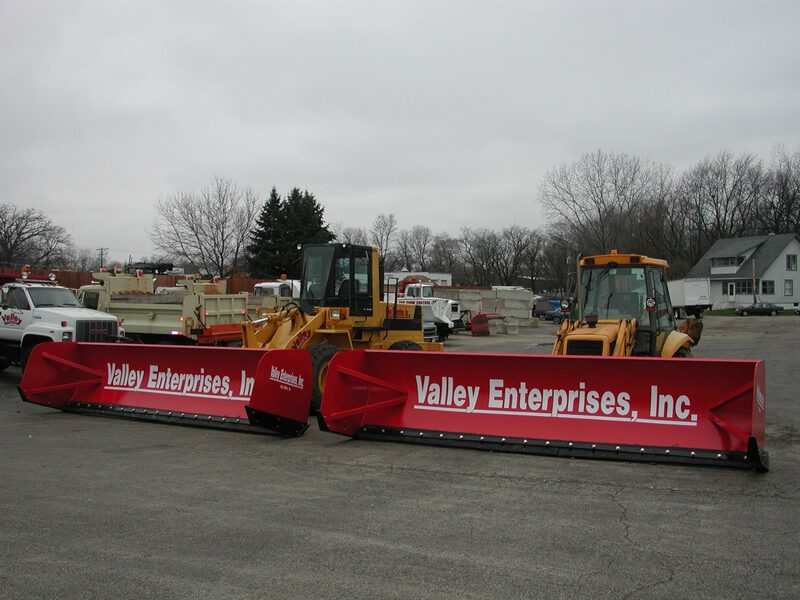 The Valley Enterprises, Inc. fleet includes over 300 pieces of modern snow removal equipment. We stockpile rock salt (sodium chloride), calcium treated sodium chloride, magnesium, and potassium as well as liquid products so no storm will ever stand in the way of your safety. Other chemical options are readily available for your customized ice control needs. These trucks work well for plowing deep heavy wet snow. 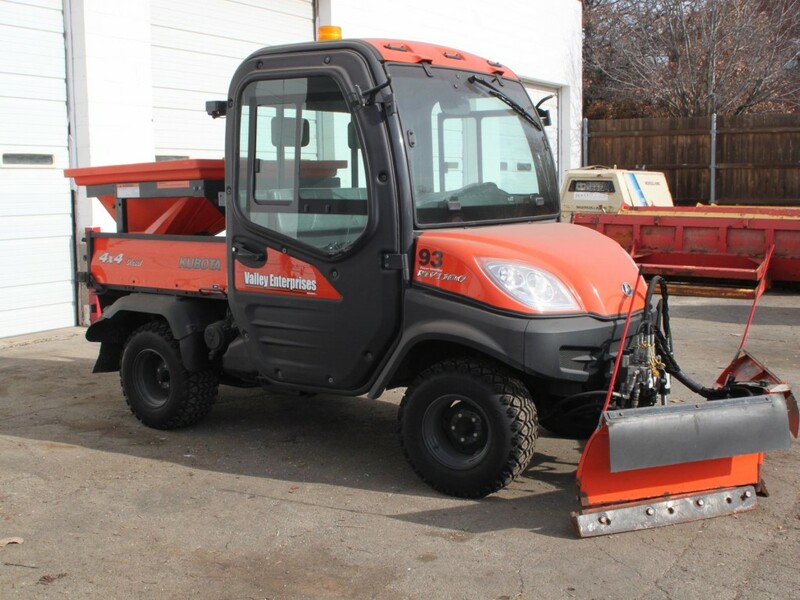 They get through snow that other trucks cannot and they are equipped with adjustable hydraulic salt-spreaders that apply the correct amount of ice control. V-Plows are very effective for plowing around cars that are parked in aisles. 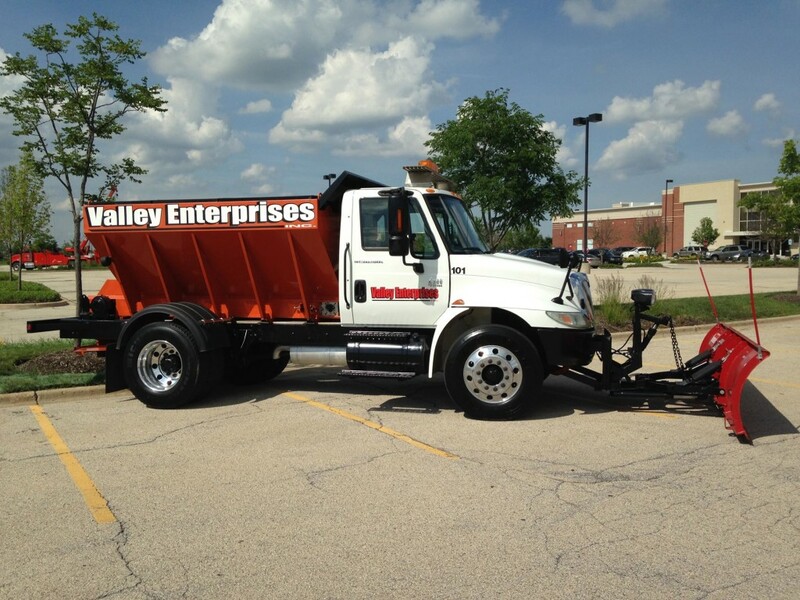 Another benefit of V-Plows is that they are maneuverable and prevent snow from getting stacked up behind parked cars. These can be installed on pickups as well. Great for heavy daytime snow. With boxes from 8 feet to 16 feet long containment plows work well in large areas and when snow needs to be stockpiled in limited areas. 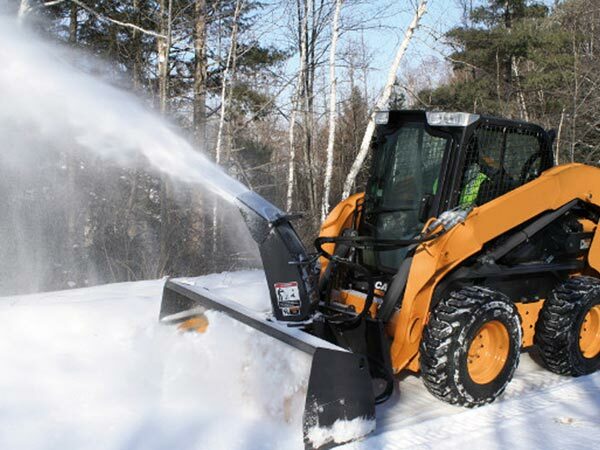 Loaders allow for higher stockpiling of snow compared to a truck and they are also very efficient. Skid steers are effective in tight quarters. They are maneuverable and are great in areas where stock piling is limited. They have hydraulic down pressure and work for back dragging. All jobs have their need for detail work. Snowblowers are needed to clear out doorways and other small areas. 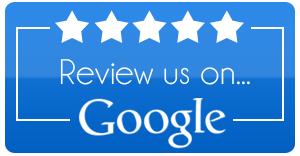 They are commonly used for small to mid-sized projects. 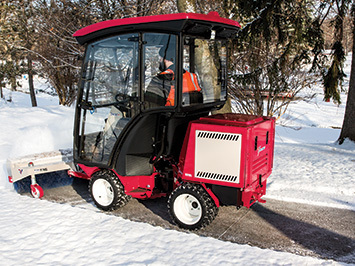 These four wheel drive vehicles are best for clearing buildings with a lot of sidewalks. 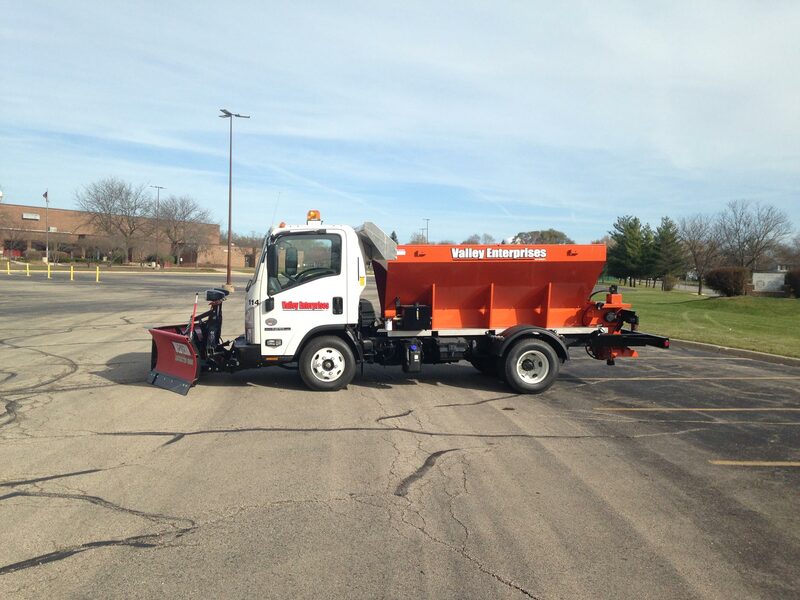 Hydraulic down pressure allows our crews to clear snow and ice right down to the pavement.